No Longer Available. Please see the new Start Guide for Windows 10 IoT Enterprise book. The book also covers third-party tools like SecureBus™ and real-time solutions from TenAsys® to secure and enhance the performance of Windows Embedded. 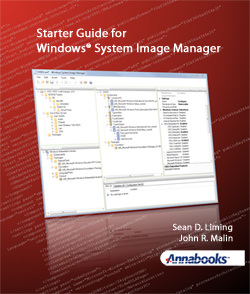 The book brings all these elements together in nine chapters with 11 step-by-step exercises to create and architect Windows images into final systems. You don't have to have a Kindle Tablet to read Kindle books! There are free Kindle readers for PCs, MACs, iPads, Android tablets, and all the major smart phones. Please see the Kindle Reader site for more information: Kindle Readers. The Kindle for PC is an ideal solution as you can have the reader on one screen and ICE open in another, which is perfect for developers. Books can be viewed in color and are searchable. Best of all you buy the eBook once, and you can view the book on all of your devices with the Kindle Reader application. Book Exercises - Zip file contains files for use with exercises. 4.4	SUMMARY: SYSPREP IS A MUST! The addendum to the book covers Windows 10 IoT Enterprise and the changes from Windows Embedded 8.1 Industry. The addendum covers the product naming, changes to activation, new tools coming, changes to the Lockdown Features, code examples for customizing programmatic management of the Lockdown Features. Looking for better deterministic performance from Windows? Developing real-time applications is no simple task. Timing is everything to the system. The more complex the system the more attention to detail is required. Real-Time Development from Theory to Practice Featuring TenAsys® INtime® provides the core foundation to go from understanding real-time concepts to putting them to use in applications. 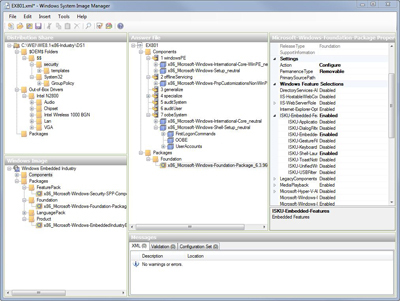 TenAsys® INtime® for Windows® is featured to demonstrate the basic concepts of hard real-time development and provides a development environment, integrated into Windows that allows the reader to directly apply these concepts. Windows Emebdded Industry includes POS for .NET, which is the .NET programming solution of the Unified POS (UPOS) standard. POS for .NET allows POS developers to write one application that support POS devices from different equipment manufacturers. Professional’s Guide to POS for .NET provides a foundation for those interested in learning the basics of POS for .NET applications and service objects. The book has 6 chapters covering POS for .NET architecture, POS for .NET application development, creating service objects, and managing service objects.